Consumption and degradation of natural resources that is faster than it can be replenished results in the depletion of the natural environment. Contemporary global challenges are laden with issues of natural resource availability and its management. 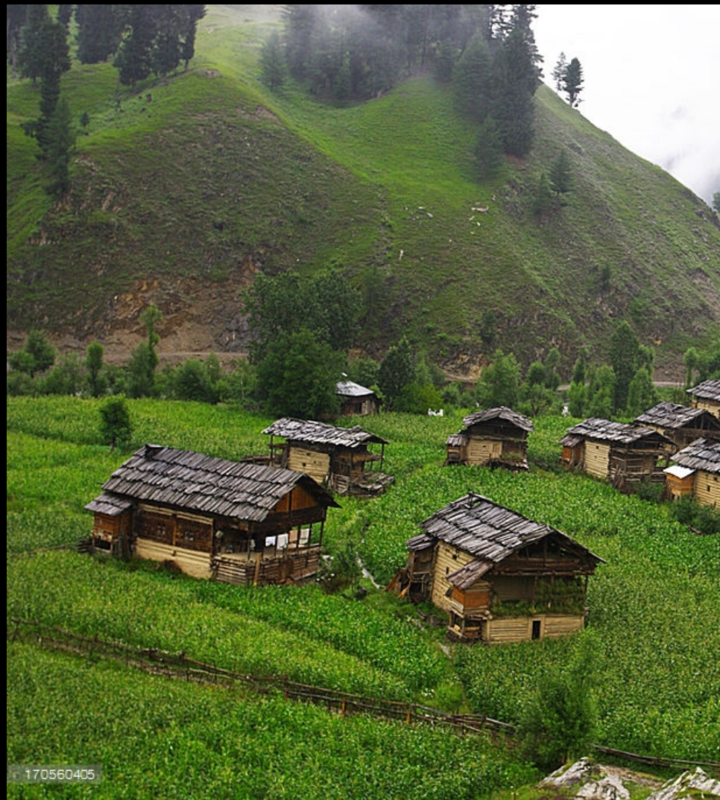 Neelum Valley in Kashmir is located at the Line of control (LOC) and is also divided by it. There are amplified pressures on the natural environment of this area due to population and increased tourism, excessive deforestation as well as dependency of livelihoods. This influx of foreigners who are not local to the land also affects the indigenous cultural archive. The cultural archive is embedded in the local practices, folklore traditions and customs for which the school will work closely with the indigenous people. The landscape is composed of beautiful valleys, water streams, forests, traditional houses and an ancient temple ruin located in Shardah. Due to active conflict in the region *Line of Control between India and Pakistan, these landscapes were inaccessible for the general public. However, since the ceasefire in 2003, the Valley has attracted many tourists and my research team happened to be a group who were visiting Neelum Valley in August 2015 to conduct research on the cultural landscape of Upper Neelum Valley under the Laajverd Visiting School program. The geographic landscape consisting of mountains, forests, wild flowers and water streams of Kashmir have inspired the local folklores, stories, myths and cultural crafts in the region. While tangible aspects of a cultural landscape can be assessed through its material culture, objects, physical sites and built environment, the intangible is associated with the stories, myths and cultural practices of the community. Folklores are stories and myths associated and developed in the cultural landscapes and are an important asset of the intangible cultural heritage. Myths are not mere stories rather they reflect certain beliefs, knowledge and narratives that are favoured by the local communities. Myths also play in important role in keeping a certain kind of narrative alive for the next generations. 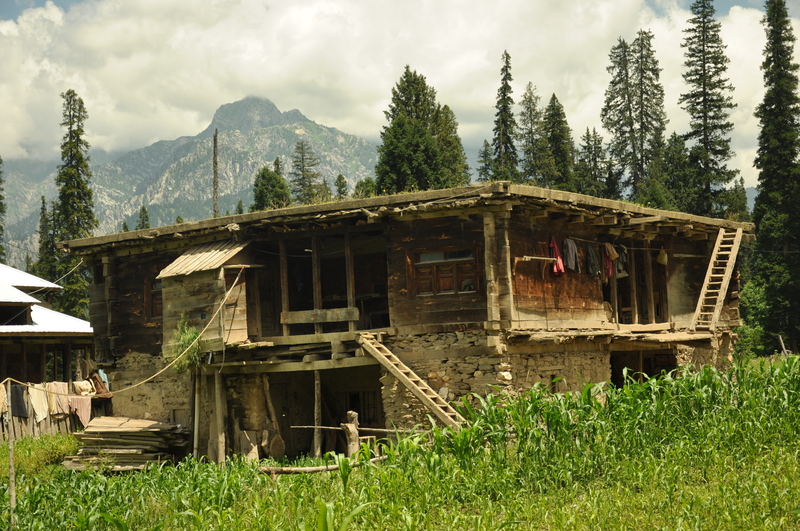 This short piece of writing explores how the myths and stories concerning water bodies in Upper Neelum Valley are aimed at preserving the natural resource. Throughout the time spent in Upper Neelum Valley in late August 2015, our group of students and researchers encountered stories of the sacred water fountains protected by Djinns. While there were several versions, the significance of pure and clean water was highlighted in each story. In some, Djinns were the primary caretakers of water sources, in others, fairies had been sighted near streams or a presence is felt near water bodies at certain times of the day. The presence of Djinns and other beings around water sources and water streams in Neelum Valley is associated with the purity of water which requires protection from none other than human beings. And the humans live to tell the tale. The landscape is home to numerous water fountains and streams and also the Neelum River which cuts across the valley. The stories of waters and Djinns has also inspired names of certain valleys, for example, Janwai is a Valley located between Kel and Taobat in upper Neelum Valley. Janwai has a particular geographic terrain; lush green slopes with several streams, “Janwai means land of Djinns and they are believed to protect our countless streams”, said a local man. The inhabitants in different villages narrated stories of how the myths protect the source of water fountains. When we asked them to take us to the fountain, our request was denied, “you see, we need to protect the source from evil eye – if there is an evil presence, our streams will run dry” said some inhabitants in Kel. During our encounters we came to know how stories and myths are circulated through different seasons. There are different stories associated when the water starts melting after long hard winters, while harvest times tell a different set of stories. 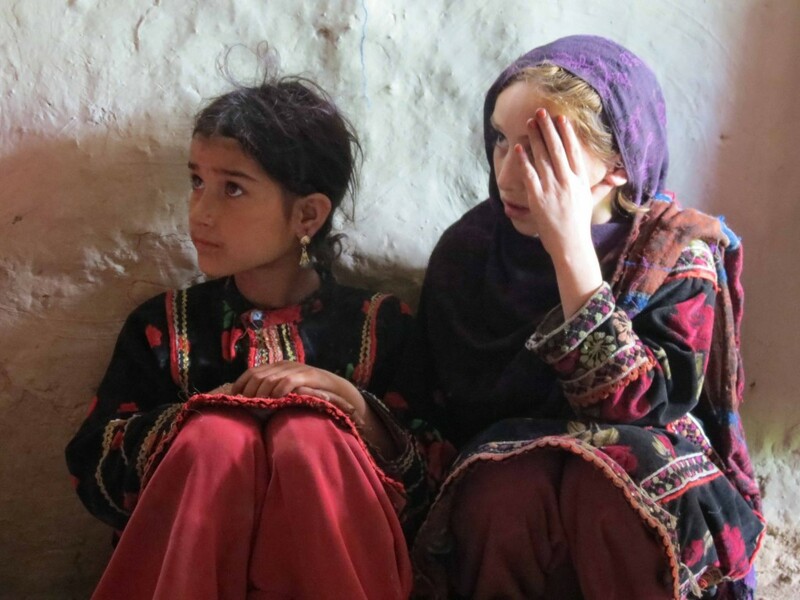 Some local women mentioned that during winters, when families are confined to their homes to keep warm, stories keep the atmosphere lightened up. Usually grandparents tell stories to children and over the years, there is also re-iteration and occasional retrofitting, to keep the story exciting and alive. In this sense, stories as folklores becomes a process of communal creativity exercised by the community as they weave stories of the past in the present for a future. These stories have passed down from one generation to the next and circulated in everyday lives, as local people avoid walking around water streams in evening and parents warn their children to stay away from water fountains and streams. An elder man re-iterated the role these stories played in keeping the water clean, however, in current times the situation has swiftly dilapidated. Another local man mentioned in Taobat, “the stories aren’t told enough due to which we have lost our older connection with water”. While there was a concerted effort to keep humans, especially visitors, outsiders and tourists away from the source of water fountains, the streams near Bazaar and main road were filled with everyday house hold waste consisting of plastics, paper, clothing etc. With dismay, our team of researchers watched the water struggle through massive piles of waste deposited in the water channels. Clearly, the stories had gone silent, the Djinns had disappeared, and humans had invaded. For decades, even centuries, stories and myths had held the natural and cultural landscape together, where each respected the presence of the other. Stories and myths acted as a source of communication between these two entities and allowed humans to weave their lives carefully and attentively in the natural landscape. Stories echoed the voices of mountains, forests, stones and water. They narrated how landscapes are entities to be shared with nature and other beings; it is not a resource for the humans but has a life of its own where humans must exercise co-existence. But when the stories and myths are silenced, it is the mountains, forests, water and stones that are silenced with them. The dilapidation of water channels was a clear indication of how disconnection with stories and myths ultimately led to water pollution. Having identified this gap, we decided to engage with local children to regenerate an interest in stories and myths that speak of the natural landscape. In order to do this, we decided to improvise a local children’s game by embedding a dying folktale. 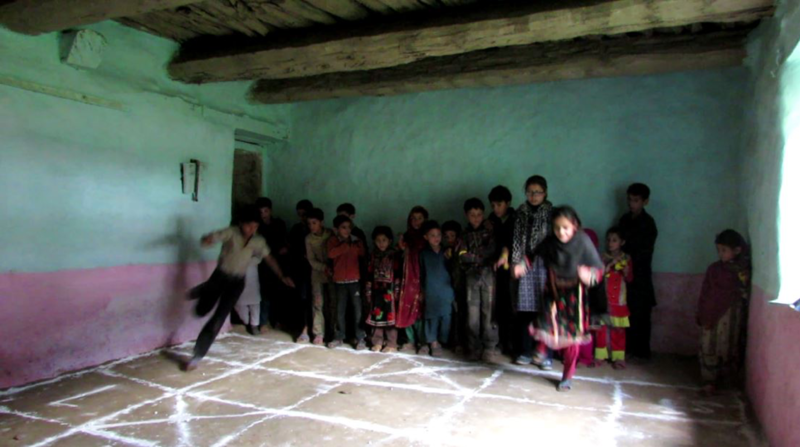 A local game called ‘Doga’ similar to hop-scotch was designed with more boxes and movement patterns to embed the story of Djinns and Fairies who protected the water bodies in Neelum Valley. In this sense, children not only reconnected with the mythical tale, but it became part of their everyday play time. Yumna Sadiq, a team member of Laajverd Visiting School and an artist who led this activity with local children, expressed how children felt empowered in creating their own game which can become part of their everyday lives. The brief encounter with the local inhabitants and our exercise with children showed the importance of empowering local narratives and stories, where communities get a chance to re-connect with their natural landscapes. In times of global warming, climate change induced migrations and swift dilapidation of natural landscapes, we require sustainable methods of protecting our environment. While awe are actively looking for scientific solutions, creating awareness through campaigns and desiging products that might relieve pressure on natural environment, we must also look towards the existing methodologies. In traditional societies, stories and myths have played an important role in keeping a certain narrative alive. These are rich repositories of local cultural beliefs and their way of being and belonging in a landscape. For decades, they have been created, woven and sustained by the oral transmission from one generation to the next. And by reviving these stories and myths that focus on the sanctity of natural resources, we can perhaps hope to once again reconnect with the other worlds of water and the lost beings that protected the natural landscapes.